It was around 8:30pm and we were walking near a CastaÃ±o tree where you find the fallen tree fruits on the ground making this a meeting place for many mammals (preys and predators) as the White Collar Peccary that feeds from the fruit seeds. 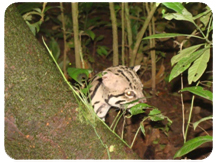 We stopped and quietly started looking around and what a unusual surprise I got, right there it was: the Ocelot! So I whispered to Kelly and Kate to let them know about it and we started following it from a very close distance and he didnâ€™t even pay attention to us like if he did not care at all. 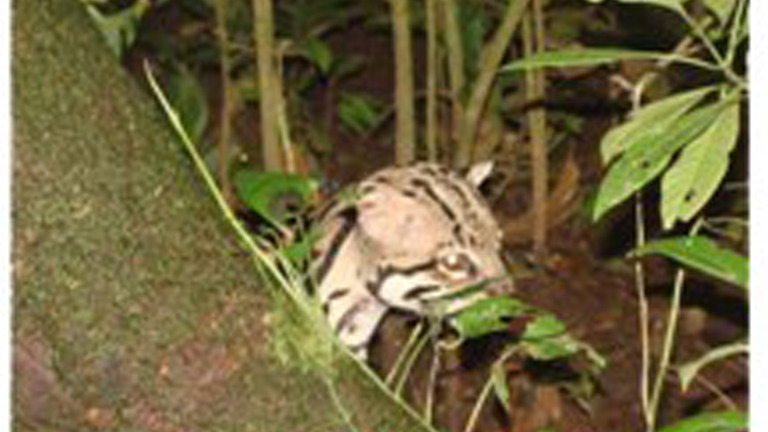 Then the Ocelot suddenly stopped and turned back, we were just one meter away from him and then it got lost in the vegetation. It was a magical moment and an exciting Night Walk for all of us.